The Congress on Tuesday attacked BJP President Amit Shah over his statement that the next Goa government will be functioning under the leadership of Defence Minister Manohar Parrikar saying that “Goa is not a union territory to be governed by Delhi. “It is for the people of Goa to think on what Shah said. We are not a Union territory to be ruled from Delhi. We are a full fledged state developed much compared to the other states,” Goa’s Leader of Opposition Pratapsinh Rane said in Panaji. Rane was reacting to remarks made by Shah on Monday at a public meeting in Vasco town. Parrikar is already ruling the state through remote control. Every weekend he spends here since he became the Defence Minister,” Rane quipped. 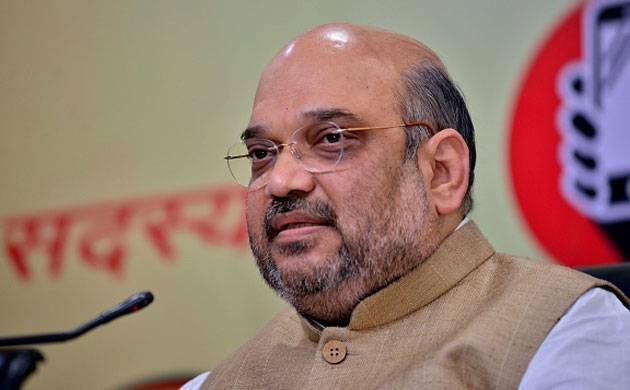 On Monday, Shah had said that though Parrikar is needed at Centre the next government in the coastal state will “function under his leadership,” irrespective of his posting. “Goa has given a big asset to the country in Manohar Parrikar. There is a huge demand for Parrikar in Delhi and also here in Goa. The people of Goa demand that we should send Parrikar back to the state,” Shah had said. Goa is going to polls to elect the 40-member House on February 4. For all the latest Goa News Download the News Nation App available on Android and iOS.